Bookmark DC's @LaPop as your getaway for good coffee and even better company! Established as a cultural salon in the heart of the Capitol's most hipster neighborhood, Adams Morgan (AdMo, please! ), La Pop blends coffee with culture in a cozy, vintage underground café. Marked by an unassuming entrance under Afghan restaurant @Lapis, the neon words "Sip, Chat, Listen, Read, Think, Love" beckon you down narrow stairs to the café below. Past white-washed walls lined with books (for-sale through a partnership with Georgetown non-profit The Lantern Bookstore) you can find refreshments at the coffee/cocktail bar, as well as partake in a calendar of live music and yoga events. This well-kept secret in AdMo is run by the Popal family, who immigrated to DC from Afghanistan in the ‘80s and added their take on Parisian and Afghan-inspired cafes to the city. Coffee geeks will enjoy the array of brewing tools, from a karlsbad brewer and chemex to a syphon and french press. The magic behind this coffee chemistry is the variety of beans hailing from Vermont's Brio Roasters and Anapolis, MD's Ceremony Roasters. 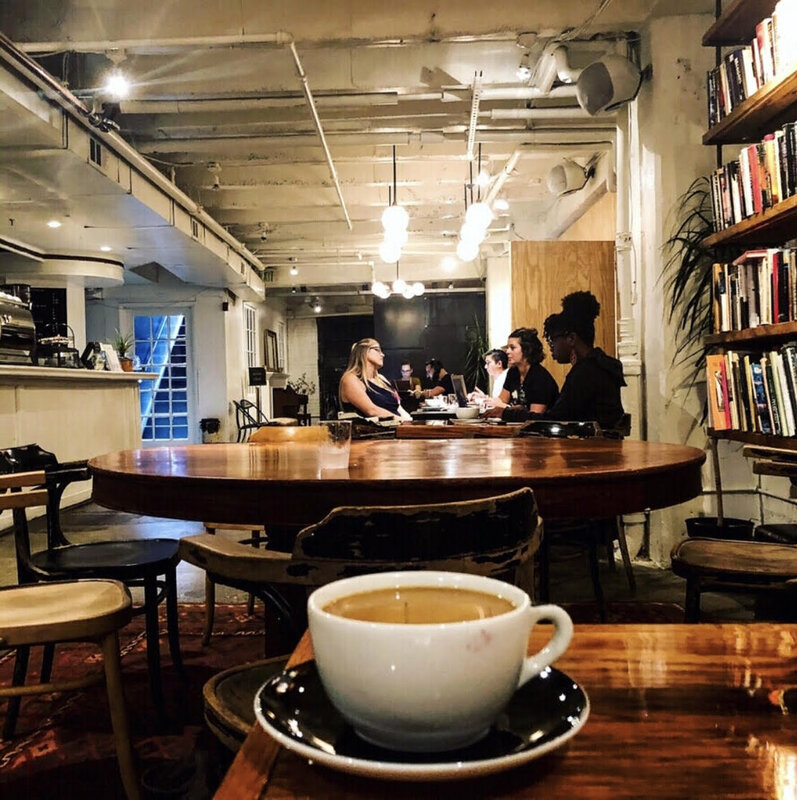 Music lover, book lover, yogi, coffee lover, tea lover -- all are welcome to enjoy an escape to La pop to stop and have a cup of coffee with a friend, old or new!